After Skinning Fish the next step is removing fish bones. 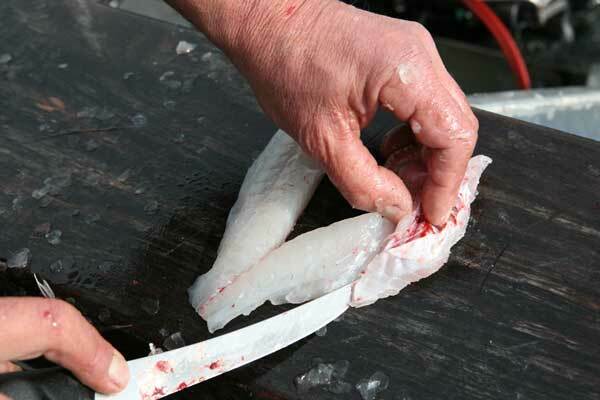 The fish backbones were removed in the last filleting procedure. The remaining bones are around the gut cavity and a line of fine bones that connected the backbone to the lateral line. The row of small bones which run vertically through the fillet are joined to the bones around the gut cavity and are found by inserting the knife at the front of the fillet. Gentle strokes of a knife angled towards the gut cavity will reveal the position and lay of the fine bones. 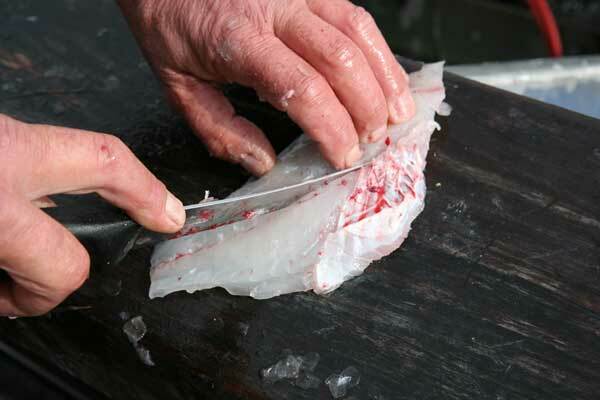 Follow this line, cutting completely through, to release the top part of the fillet. 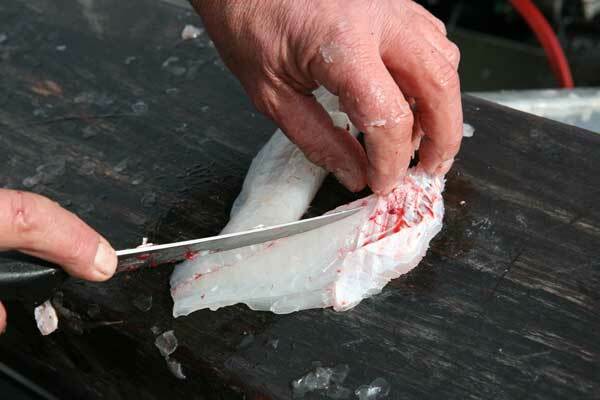 The line of fine bones stops around two thirds of the way down the fillet. At this point put the knife on the other side of the line of bones and run the knife up the fillet until the point is well under the bones around the gut cavity. 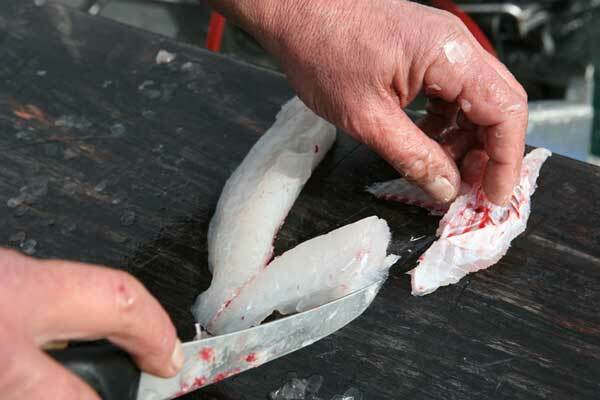 Keep the knife following close to the fish bones to recover as much flesh as possible.